"...regarded as a must-read for librarians and other information professionals." "The best available source for the latest information about e-books in libraries … For its comprehensive coverage about a complicated topic--a theme that is so important it could help every library to survive and thrive--No Shelf Required should be required on every shelf. " "An essential guide to a topic of high importance." 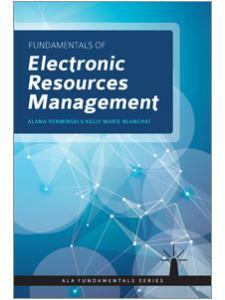 "If you have limited or no knowledge of ebooks, read this volume. 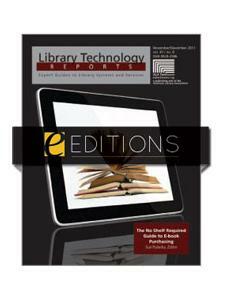 Its thorough presentation is required reading for all librarians who have or are adding e-books to their collections. Highly recommended." "Analyzing e-books and their many varieties, Sue Polanka gives librarians a complete and comprehensive understanding of the e-book and how to more successfully integrate it into one's business. E-books can be a powerful tool for libraries and education, and No Shelf Required covers everything needed, ranging from legal issues to indexing to technology and so much more, making it a truly important resource no modern librarian should be without." "For all their technicality, the essays are very succinct and include tables, charts, case studies, and sidebars with definitions and links, all in an effort to further clarify things. Each chapter includes its own list of references, and the book has a good index. This is an incredibly timely topic for a print book to cover, and the editor admits as much. Still, for those who need an introduction, or a solid base from which to launch their requests for e-books to their administrators or library boards, this book is a good starting place." "A provocative title for a provocative book. As publishing models continue their paradigm shift from print to digital, and the long-awaited legal agreements have been reached for the Google Books project, the volume and scope of materials available digitally from publishers is now greatly exceeding what publishers had once made available only in print. The role of e-books and how they fit into today's libraries are critical issues for today's collection management librarian ... 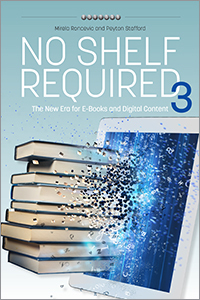 The ability to clearly present the issues surrounding e-books from these various perspectives is what makes No Shelf Required an informative publication for librarians and administrators looking to make sense of the e-book market and its impact on libraries." "In the follow-up to her 2010 volume of the same name, Polanka ... has once again gathered an impressive group of librarians, educators, and other experts to contribute essays covering present issues and future plans for e-books in libraries ... 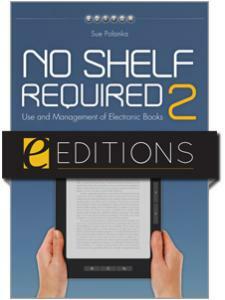 Anyone interested in the discussion of e-books in libraries will be well served by this volume."